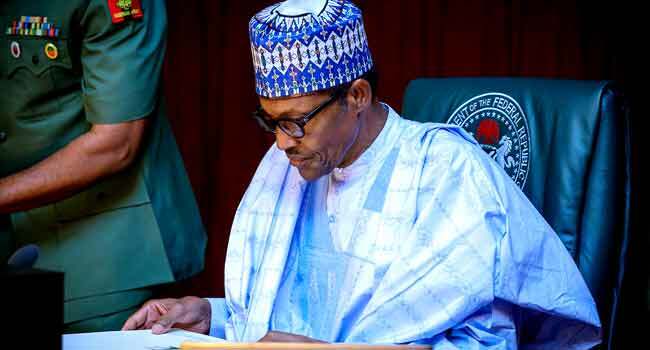 President Muhammadu Buhari will on Wednesday, June 20 sign the 2018 appropriation bill into law. The weekly Federal Executive Council (FEC) meeting for this Wednesday might also not hold due to the budget signing and Public holidays of Friday and Monday. The Special Adviser to the President on Media and Publicity, Femi Adesina, at the end of FEC meeting last week informed journalists that President Buhari will sign the 2018 budget this week. The Presidency had received the appropriation bill from the National Assembly on May 25 after it was signed by the lawmakers. President Buhari presented a budget proposal of N8.612 trillion to the lawmakers earlier in 2017 with hopes that the bill would be passed in December of that year, but it took six months for that to happen with the lawmakers accusing ministries, departments, and agencies of frustrating the passage by failing to submit the breakdowns of their budget proposals. The National Assembly, however, increased the proposal by N508billion bringing it to N9.12 trillion from the original estimate of N8.6 trillion. During the budget presentation, the President had noted that the Appropriation Bill will consolidate on the achievements of the previous budget and that 2018 is expected to be a year of better outcomes.